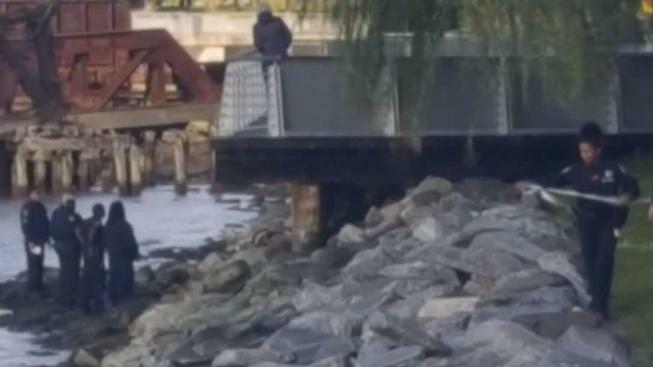 The bodies of two women were found floating in the Hudson River Wednesday. Checkey Beckford reports. The fully clothed bodies found bound together and floating in the Hudson River last week were identified as sisters from Virginia, officials said, though how the pair got into the water and how they died remain a mystery. Rotana Farea, 22, and Tala Farea, 16, of Fairfax, were identified by the NYPD early Saturday. The medical examiner's office said last week the bodies required more analysis and that the cause and manner of death was still pending. Tala Farea was last seen Aug. 24, according to the National Center for Missing and Exploited Children. The organization had said she may be with her sister, Rotana. Their bodies were found fully clothed and bound in the Hudson River off Riverside Park Wednesday afternoon. The two women were found with no signs of trauma, according to officials. NYPD Chief of Detectives Dermot Shea said that the two were taped together at the waist, and both were wearing coats. Fairfax Police referred reporters to New York police when asked about the investigation.